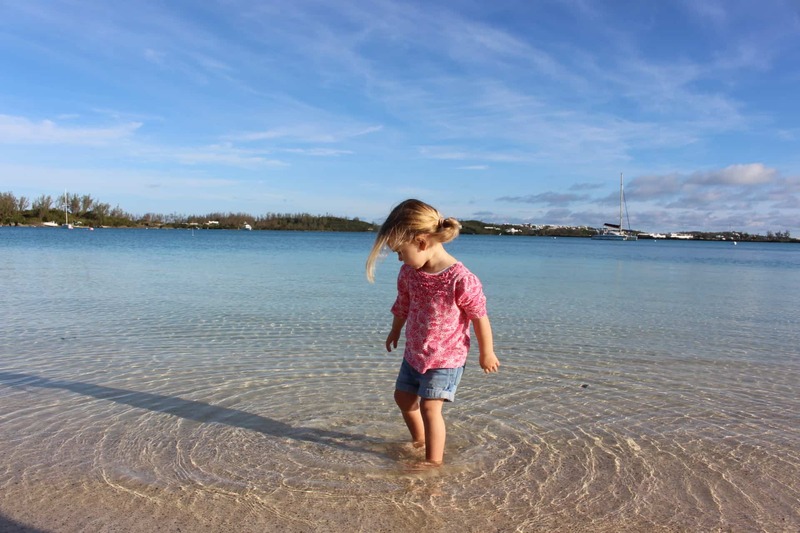 We went to Bermuda earlier this year with our toddler in tow. 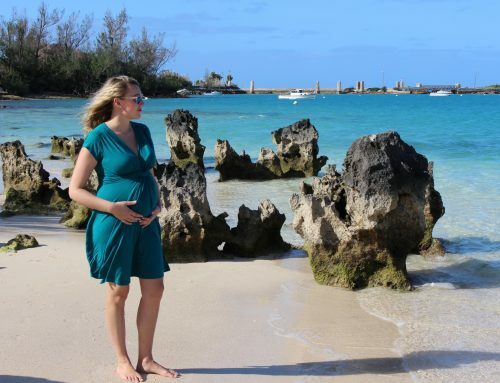 We originally chose it as a destination due to its zika-free status as I was also pregnant. 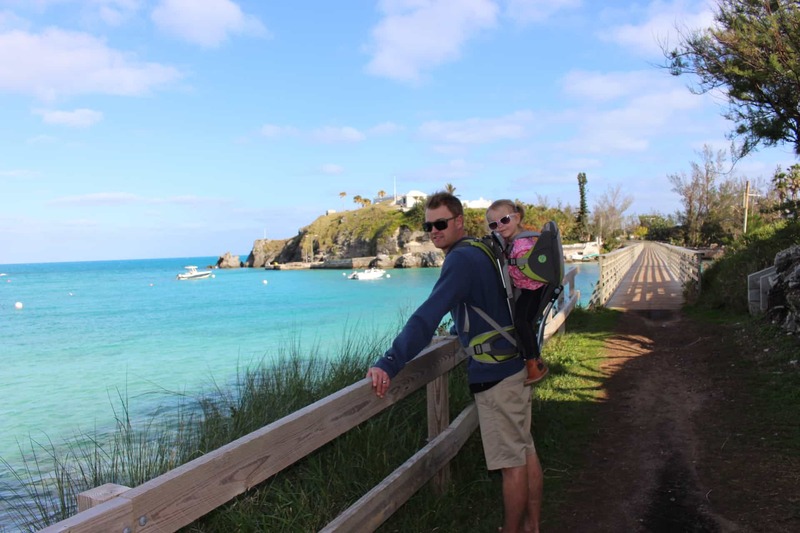 At only 21 square miles, I thought eight days may be too long and we would find enough things to do in Bermuda with kids. However, it turned out to be the perfect amount of time to fit in some relaxation and see everything. Bermuda is a beautiful island with the most incredible clear aqua water, beaches, reefs, caves, lagoons, bush trails and everything you can think of nature! It was all the things we love as a family. IS THERE ZIKA VIRUS IN BERMUDA? 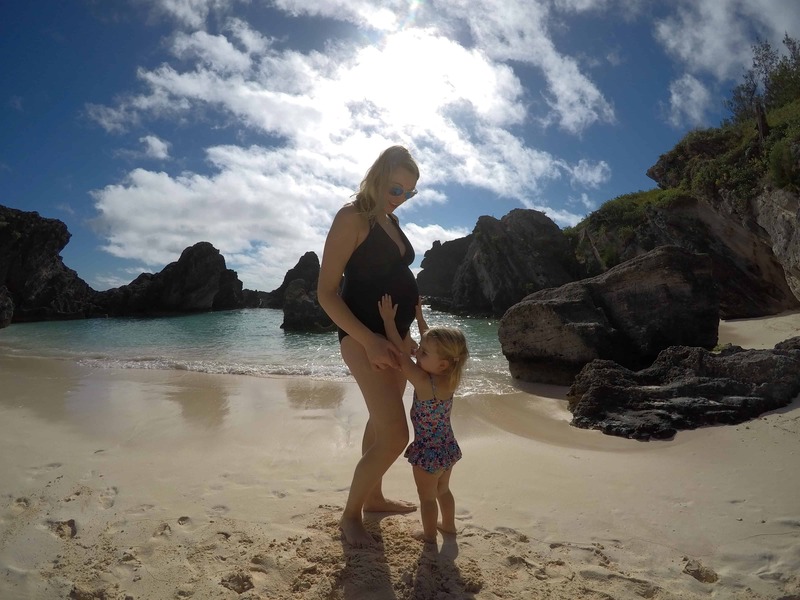 If you are travelling to Bermuda with kids or are considering kids in the future, you will be happy to know that Bermuda is considered a Zika-free destination. As of May 2018, there had been no cases of Zika Virus in Bermuda since February 2017 and the 6 cases before that were imported cases (there was no local transmission). But it is always best to check with the Bermuda Government Authority. When it comes to public transportation for your family trip to Bermuda, there are a couple of bus lines that run the length of the island and back again. They go every ten minutes and it’s a really good way to get around the island when you get a pass for a few days. The locals are so warm and welcoming and will most definitely chat to you on the bus. They all get on in the mornings and say a loud HELLO, MORNIN YA’LL. I guess being a small nation, they all know each other but it really made us feel we were getting a true Bermudian experience. Bermuda can be quite expensive so its worth considering a budget before leaving. 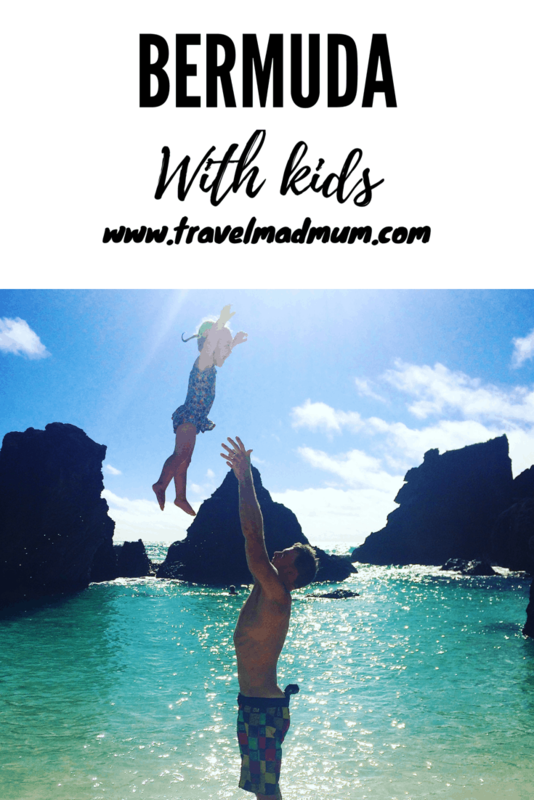 I have developed this guide of things to do in Bermuda with kids and of course, £££ in mind! I don’t ordinarily advocate all-inclusive packages, although there are plenty of all inclusive resorts in Bermuda. We stayed at Grotto Bay and spent half of our time there on all-inclusive to ensure we kept the trip affordable. The food was great and made to order unlike other buffet style all-inclusives that lack quality. We also tried to do picnics on days when we were at the beach or generally out exploring to keep the cost down. There is a good supermarket in Hamilton where we picked up some fruits and things to make sandwiches. Otherwise we can recommend two affordable and really great places to eat with kids. If you are planning on spending a day on the beaches or exploring the lighthouse on the south-west of the island, Henry VIII is a good place to stop by for an early dinner. It’s obviously very British inside but also has a nice outside dining area with incredible views of the coast. The food is great and not as expensive as other places. I highly recommend the ‘Henry style caesar salad’. Our little one had pizza which wasn’t the horrible greasy sort. They seem quite accommodating with kids. The Swizzle Inn is based next door to Grotto Bay Beach Resort and is one of the oldest buildings in Bermuda. It is also home to the islands famous rum swizzle drink. Despite its medieval decor, the place had the feel of an American diner. They serve a variety of food but the burgers are for sure the highlight. My fav was the swizzle burger with garden salad. The salad is to die for! We stayed at the Grotto Bay Beach Resort. It is very close to the airport and it’s in a great location for getting to many of the attractions. There are some great low intensity walks nearby with beautiful scenery. 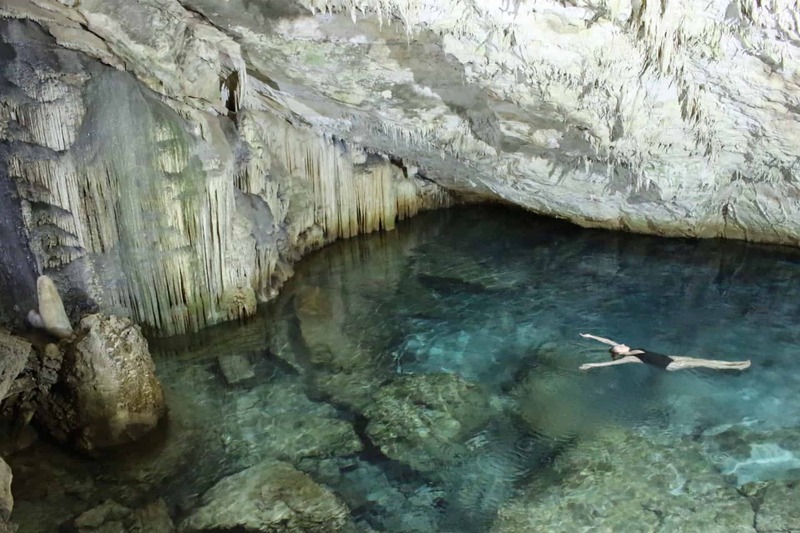 Within the hotel they have their very own underground cave where you can swim in the crystal clear water. Although for kids, they would need to be able to swim as there are no shallow parts. They also have the only spa in the world that is inside a cave and suspended above water, it was the perfect child-free break for an hour. We loved the private beach, it is perfectly shallow for little ones to play on the shore. Reception lent us a bucket and spade which provided endless entertainment. If you have older children that are strong swimmers there is a sunken ship just metres off the private beach with many different species of fish and beautiful coral. They have a whole host of water sports throughout the season and plenty of kiddies activities. The rooms are big and spacious, so perfect for families. For rates and availability, click here. A couple of days has to be dedicated to beach hopping! There are so many beautiful beaches from Horseshoe Bay to Shelly beach on the other side of the island. The water is out of this world, as is the scenery of beautiful rock formations. Due to the reef that runs around the perimeter of Bermuda, a few metres out to sea, the waters are calm and there are no sharks! Perfect for kids! Many people say the beaches have pink sand in Bermuda. There are definitely some pink flecks when you pick it up in your hand. If you see super touched up pictures on Instagram, don’t fall for it. 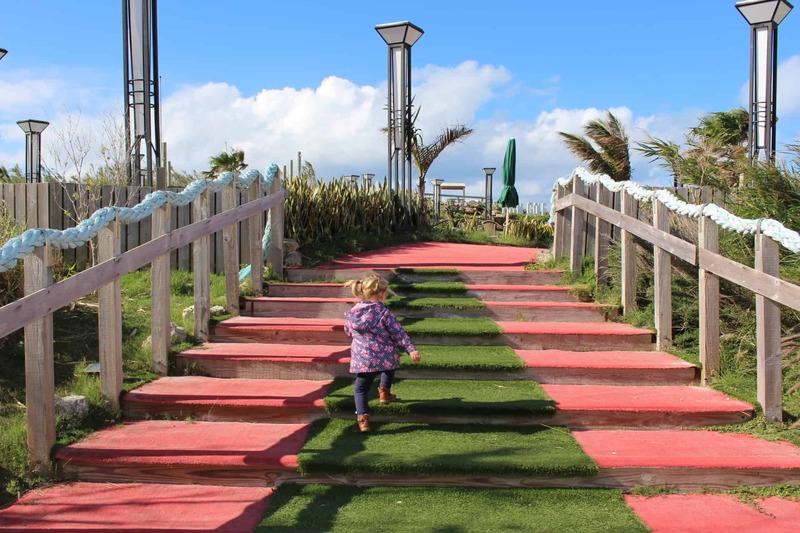 The Dockyard on the furthest Western point of the island has lots going on, and is a great little stop off when travelling with kids to Bermuda. Especially since Americas Cup is there in June 2017. From an awesome crazy golf course to watching glass blowing, there is lots to do there for a day. We visited the rum cake factory and bought some to takeaway (not so much for the kids obviously) but it was delicious. 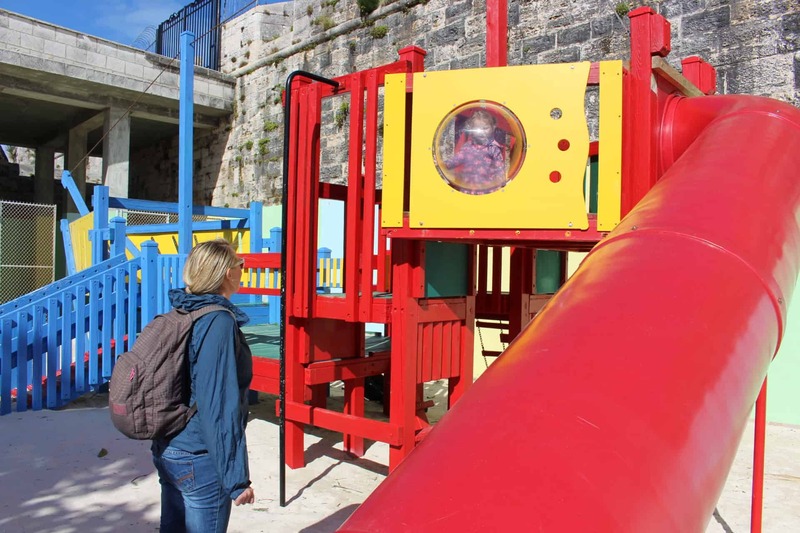 There are some great water attractions such as snorkel park at The Dockyard. I wasn’t so keen on the Dolphin quest for obvious reasons. I can only imagine the Dockyard will have lots more following on from Americas Cup! There are plenty of restaurants with good food and the ferry goes regularly to Hamilton to cut the journey time of a bus down. We were lucky enough to have the most incredible cave within our hotel grounds and did not feel the need to visit the main one. However if you are not staying at Grotto Bay, I highly recommend going to the Crystal and Fantasy cave. It looks really similar to the one at our hotel. It’s a geographical wonder and an excellent lesson for kids about cave formation. This was one of my favourite things to do in Bermuda with our daughter. The track starts very close to the airport on the other side of the bay. 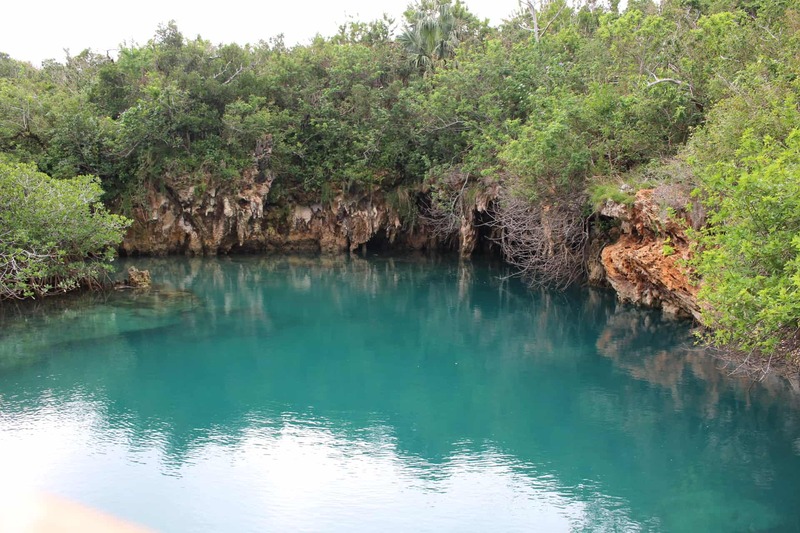 Weaving through pretty bush, we came across isolated beaches, caves and of course the infamous Blue Hole. It’s not strenuous or particularly long so its ideal for young kids wanting to do a nature trail. Make sure to bring your camera with you! The (now disused) railway track runs the length of the island. Crossing pretty bridges and scenic coastline, it is an incredible walk with a family. If you get fed up or the kids are tired, its very easy to get back onto the main road and catch the bus. We were gutted we only found this on our last day, we would have loved to spend more time walking along it. The pretty Gibbs Lighthouse could be incorporated with a day at the beach, given it is so close to Horseshoe Bay. The views from the top of the lighthouse are stunning. Its also a great spot for a picnic, there is a nice green area at the foot of the lighthouse. One of the last things we did was visit Bermudas botanical gardens. We met up with another Instagram travel family that live very close by. Apparently the gardens aren’t visited by many tourists, it seems to be a local kept secret. The gardens are stunning and well worth a visit. There is a little cafe on site and some peacocks roaming around. Our daughter loved it! 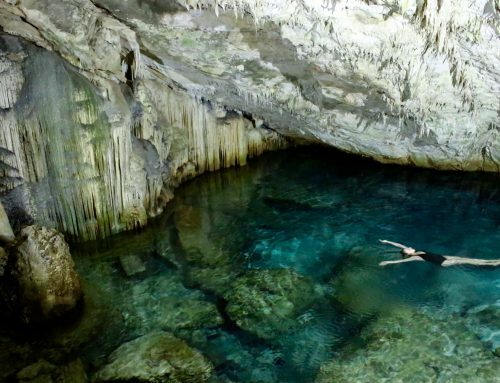 Read this article for even more fun activities in Bermuda! Bermuda is located a good way north of the Caribbean, so don’t expect tropical weather all year around! We visited in spring and the weather was sunny and warm, but still a little chilly for swimming on some days, and we definitely needed clothing layers. High season in Bermuda runs from May to October when the weather is hot and sunny (and great for swimming with the kids) but prices can match the demand. Shoulder season (April-May and October-November) can be a good option for striking the balance between sunshine and cost. Ready to book your trip? Get the best deals on hotels! 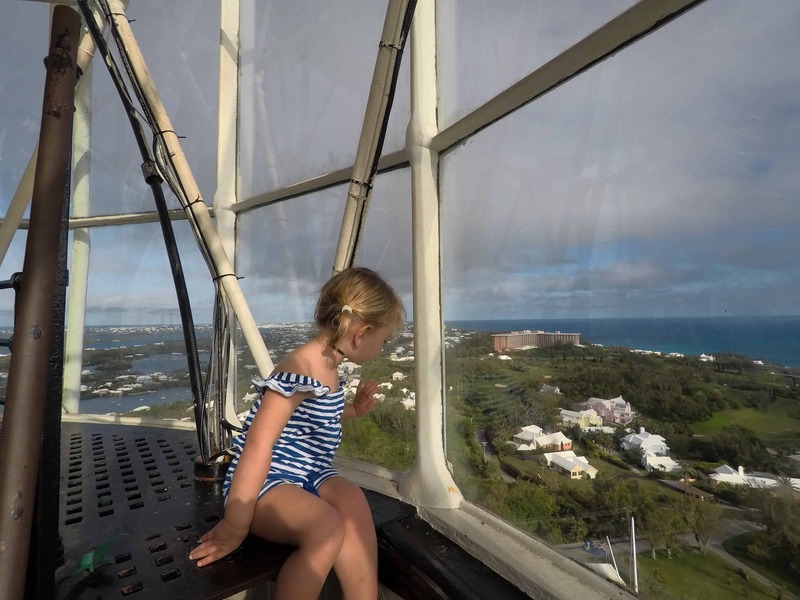 Have you found Things to do in Bermuda with Kids helpful? Leave a comment, we would love to hear from you. If we’ve helped you in some way, we would love if you could help us too. In this digital age there is a demand for immediate information online. Being a patron is a new-age way of giving a small token of appreciation for this information, which takes time to put together, with no financial return. We offer exclusive access to blog posts before they are published as a thank you. We also offer travel advice and consultancy at different payment tiers. You can sign up to our Patron program here. Hi! Great article. How did you manage travel with your daughter? Only the bus? Car seat? Would love to go, but concerned about safety and and difficultly of traveling with a 20+ old. We have been to Bermuda many times with our children. My daughter made her first trip there at just 2 months old! The Aquarium is great, as is the Bermuda Underwater Exploration Institute. They also have some really neat programs offered by Bermuda Rendezvous. We have also been to several beaches and the Botanical Gardens. I think it is the perfect family vacation and I can’t wait to go back. Hello, thanks for this article, great information. How much was the bus pass for the few days? And did you take a cab from the airport to the resort? Are the buses 24hrs there? How was the weather? We are thinking of going in july for 4 days with a 1 year old.